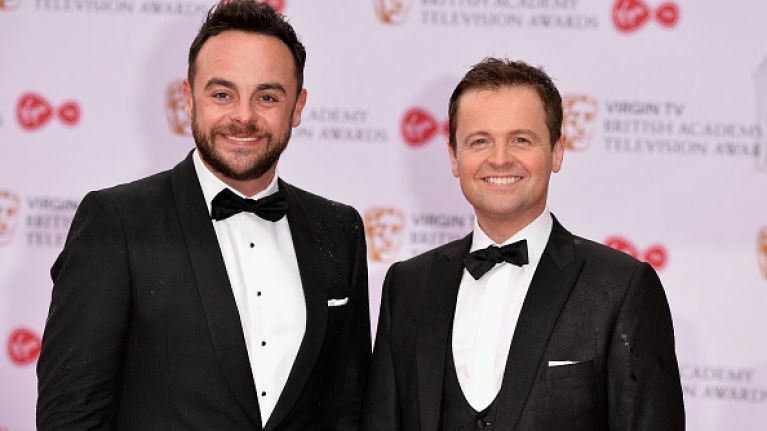 ITV has confirmed Declan Donnelly will present Saturday Night Takeaway on his own for the rest of the series. Following Ant McPartlin's arrest for suspected drink driving in south-west London on Sunday afternoon after a three-car collision, Ant's publicist confirmed he will be stepping down from all TV commitments ‘for the foreseeable future’ and returning to treatment. Since this announcement, there has been uncertainty as to whether the remainder of the series would still go ahead. This afternoon ITV announced that the show will return and will be presented solo by Declan. ITV can confirm that Saturday Night Takeaway, presented by Declan Donnelly, will return on March 31, and the series finale will be taking place at Universal Orlando Resort in Florida a week later. This weekend's show has been cancelled but the last two episodes are due to return to our screens on 31 March and 7 April. Ant spent two months in rehab last summer after struggling with an addiction to painkillers and alcohol following a knee operation in 2015. Several months later, it was announced that his marriage of 11 years to wife, Lisa, had ended.